Gold Membership – It’s Free! Celebrate this magical time of year with your beginning students who love to play special music. 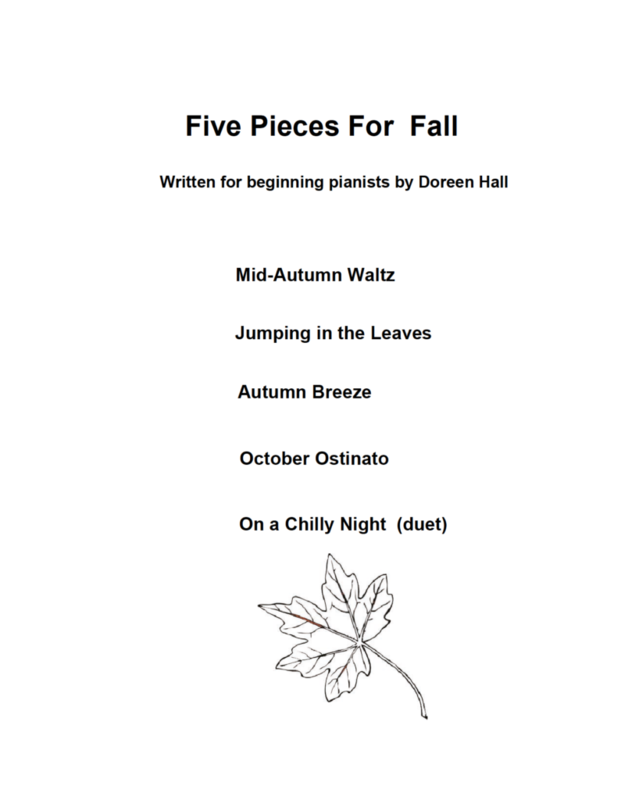 All of the pieces in the "Five Piano Pieces for Fall" Collection are very easy to learn. Even for the newest students. Their subtle sophistication will appeal to adults and children alike. 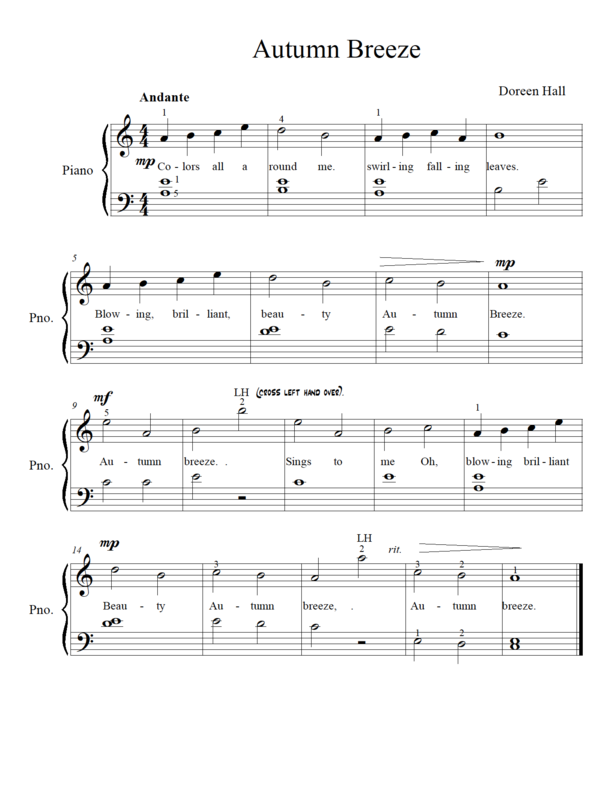 The last piece “On a Chilly Night” is a duet. 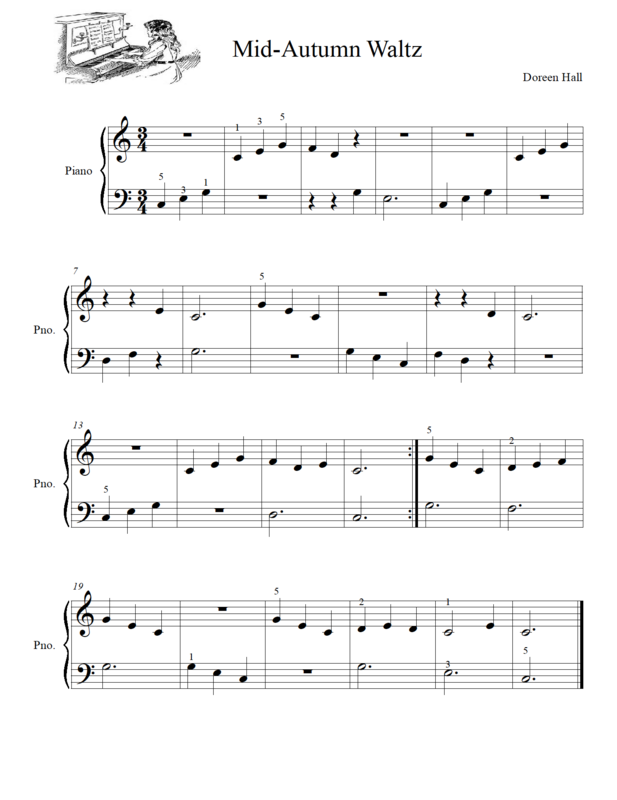 Inspire your piano students with pieces like "Mid Autumn Waltz" "Autumn Breeze", "Jumping in the Leaves", "October Ostinato" and "On a Chilly Night". Cold weather is coming soon so why not celebrate the beauty of fall before winter appears. All of our seasonal pieces are beautifully written or arranged neatly engraved and available for unlimited download and reprinting for your studio. Read the post "Choosing Piano Repertoire"
Find other Beginning, Early Intermediate & Later Intermediate Piano Solos and Piano Duets. 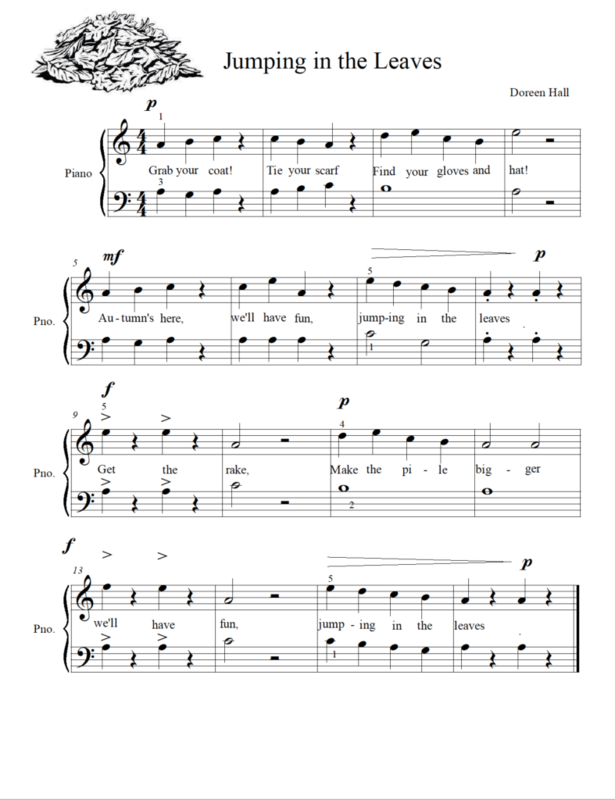 You can also find Piano Method Books and Piano Games and Resources at Paloma Piano. This material is available as part of our Platinum Level Membership where as a member you can access all of our great teaching materials - Find Out How To Become A Platinum Member. Or Consider Joining as a FREE Gold Member. Although you won't have access to this content, there are hundreds of pages of other materials available for free as a Gold Member - All you need is a valid email address. - Become a Gold Member Here. Yes!! Recital 911 is a Gold Member Freebie! For our Platinum Members, Wonder is a new piece for your later intermediate players. Paloma Piano now has an online store where anyone can shop for a few of our selected downloads. Check it out here.